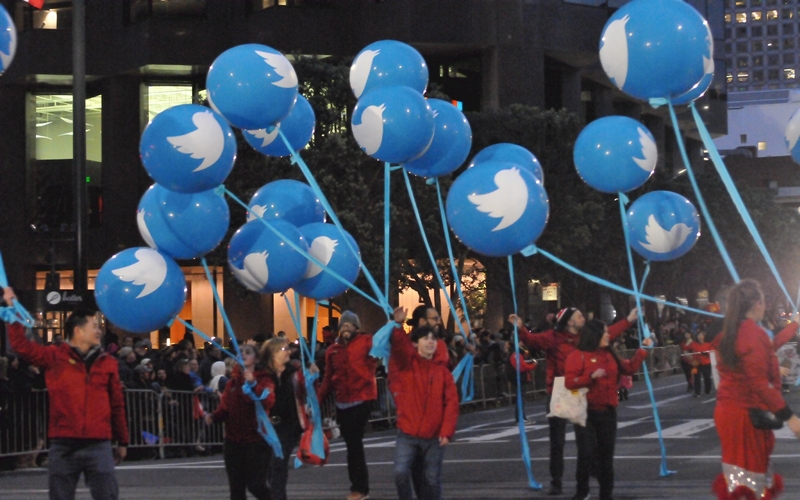 The Twitter contingent carried large, blue, helium-filled balloons held down by blue ribbons, which contrasted nicely with their red outfits. Balloons decorated the fake cable car used as a float by KTVU Channel 2 Television . 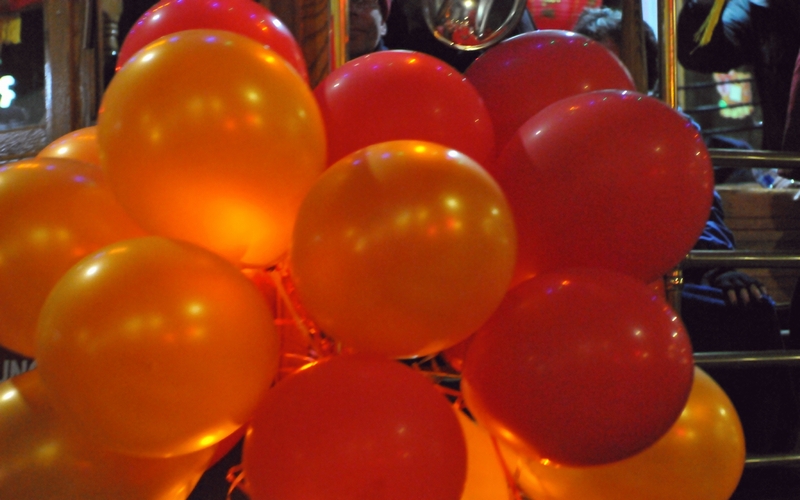 Red and Orange balloons blocked the view of a person seated on the cable car bench.